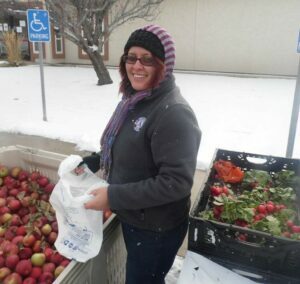 In order to expand her skills beyond the food service industry,Tania Alvarez came to volunteer at the Frontier Community Action Agency, FCAA, in March of 2014. Little did she know this decision would lead to a 4 year journey of growth and opportunity. June 2014 marked the first of three consecutive AmeriCorps terms she would serve at FCAA. Tania grew exponentially during her AmeriCorps terms of service from volunteer, to AmeriCorps client outreach position, to her current staff position as program coordinator. As a result she was hired on as a staff member after her successful completion of her third term. Reflecting upon her service Tania said “if it weren’t for the AmeriCorps position I would still be working in the fast food industry. AmeriCorps gave me the opportunity to gain experience and skills that I was able to demonstrate, which allowed me to be hired on as a staff member. The Education Award offered by the AmeriCorps program has given me the opportunity to continue my education which I would not have been able to do without it.” Tania is now the supervisor of the members serving at the FCAA. 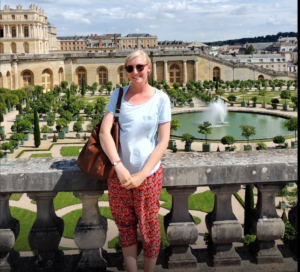 Because she was an AmeriCorps member at this host site herself, she has a much better understanding of the program and how to best help her members succeed. Fiona Taylor is the Arkansas Archaeological Survey Southern Arkansas University Research Station Assistant. 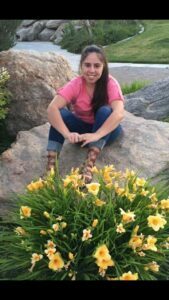 In 2016-2017, she completed a year of service with the Nevada Outdoor School AmeriCorps Program as a Naturalist in Winnemucca, NV. She remembers her experience, “at NOS, one aspect of our job was promoting outdoor recreation responsibly, which involved participating in public outreach events and speaking with people of all ages. Education and public outreach is incredibly important in the archaeological field, because it gives archaeologists the chance to share what they are discovering about a region’s past with the people who care the most about it. AmeriCorps itself is well-known as an organization, but being able to explain the skills in public engagement I gained at NOS impressed my current employer and added to my resume.” She has plans to continue her education at the postgraduate level and looks forward to take advantage of the education award next year. This article was contributed to Nevada Volunteers by current Nevada Outdoor School AmeriCorps member, Kiko Ramirez. next post: Is AmeriCorps Right for Your Organization?